Wilson Pickett was a major figure in the development of American Soul Music. He recorded over 50 songs which hit the US R&B charts, and frequently crossed over to the Billboard Hot 100. Among his best known hits are In the Midnight Hour, Land of 1000 dances, Mustang Sally, and Funky Broadway. In the early seventies after leaving Atlantic he was signed by RCA. This album was recorded in 1973, and is now reissued for the first time in HighResAudio. Originally a two LP set, it contained his best known recordings and hits, as well as a cover of Proud Mary (by Creedence Clearwater Revival). The sound is excellent, and the band is a solid soulful unit, making this an essential purchase for the soul collector. 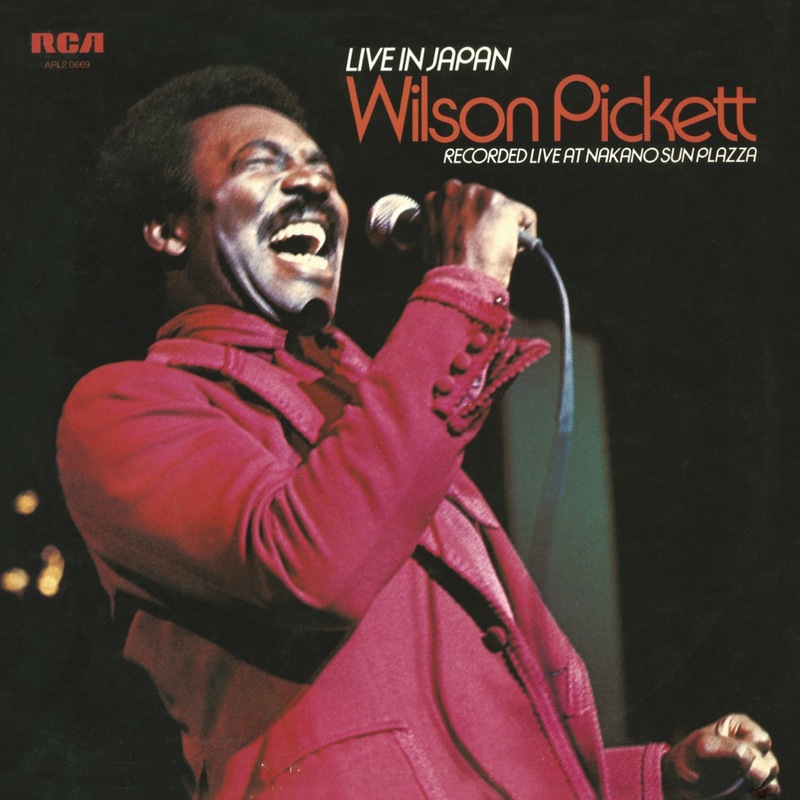 „Recorded in 1973 at Nakano's Sun Plazza venue and released in 1974, the double album 'Live In Japan' was Pickett's fourth LP for RCA but failed to sell enough copies to enter the US R&B albums charts. 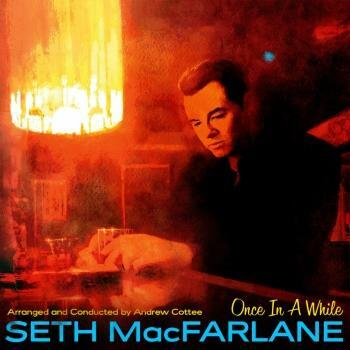 It now comes to CD for the first time (in a two-disc set) and turns out to be an interesting listen, especially if you're an aficionado of classic soul music. Pickett's in tremendous form and is accompanied by a standard rhythm section that is augmented by percussion and horns (though sadly, the members of Pickett's backing band aren't listed in the credits). The material includes several of his Atlantic-era signature songs - including a superfast turbo-charged version of 'In The Midnight Hour' that morphs into a hypnotic adlibbed groove called 'Soul Train' and a drawn-out take on 'Don't Let The Green Grass Fool You,' which includes some vocal scatting and a duet with his bass player. There are also several covers, including the John Fogerty-scribed Creedence Clearwater Revival hit 'Proud Mary,' The Association's '60s pop smash, 'Never My Love,' Bobby Womack's 'I'm In Love,' Brit blues-rock group Free's 'Fire & Water,' and bizarrely, The Archies' bubblegum pop smash, 'Sugar Sugar.' Despite the questionable quality of some of his source material, Pickett shows why he's revered as a soul singer: whatever he chooses to sing, he's able to stamp his own personality on a song and transform it into an impassioned soul sermon. brought the gruff, throaty power of his gospel-trained voice to bear on some of the most incendiary soul music of the Sixties. Some of his best work, including “In the Midnight Hour” and “634-5789,” was cut in the mid-Sixties at Stax studios in Memphis and released on Atlantic Records. Pickett also connected with the crew of house musicians at Muscle Shoals, where, beginning in 1966, he cut such memorable soul smashes as “Land of 1,000 Dances,” “Mustang Sally” and “Funky Broadway.” Pickett enjoyed a steady run of hits on Atlantic, leaving behind a legacy of some of the deepest, funkiest soul music ever to emerge from the South. 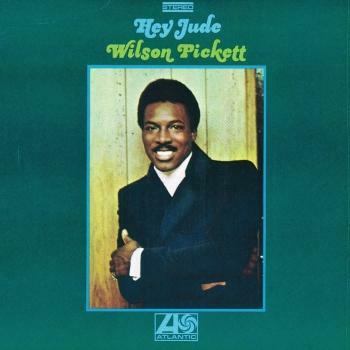 Wilson Pickett was born on March 18, 1941, in Prattville, Alabama. He sang in the town’s Baptist church as a boy. Then, in 1955, his family moved to Detroit. He began singing in a local gospel-harmony group, the Violinaires. Then, around 1959, he crossed over into secular music, joining the Falcons. In addition to Pickett, the Falcons included future soul stars Eddie Floyd and Sir Mack Rice. The Falcons’ gospel-influenced R&B style gave shape to the Detroit soul scene of the early Sixties, and their biggest hit, “I Found a Love,” spent 16 weeks on the R&B chart, peaking at Number Six. The success of that record eventually led to Pickett’s signing to Atlantic Records.